Clover Seedburst Hot Cross Muffins. Hello friends. Fancy making some buns? How about making some Clover Seedburst Hot Cross Muffins? Line nine holes of a 12-hole muffin tin with large muffin paper cases or 14cm squares of baking paper to overhang the tin. Place the flour, salt, sugar and spices in a large bowl and mix together. Add the Clover Seedburst and rub in using your fingertips. Stir in the yeast, fruit mix and cherries. Warm the milk until just luke warm, then beat in the eggs. Stir into the flour mixture, to form a soft dough. Turn out onto a lightly floured surface, knead lightly and divide into 9 equal sized pieces. Shape each into a round ball and drop into the cases. Cover the tin loosely with lightly oiled cling film and leave in a warm place, for about 1 hour or until doubled in size. For the crosses blend the flour in a small bowl with the water to make a smooth paste. Spoon into a small piping bag and snip off the end. Bake for 15- 18 minutes until risen and nicely browned and transfer to a cooling rack. Warm the golden syrup in a small pan and generously brush the top of each bun. Serve warm or cold spread with Clover Seedburst. The buns are best eaten the day they are made. Clover Seedburst Hot Cross Muffins. Recipe and photo credit by Clover Seedburst. 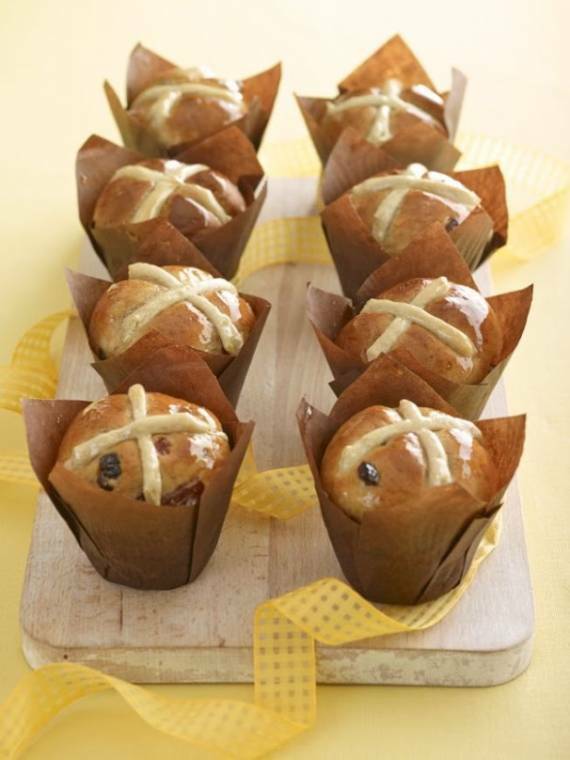 What do you think of these Clover Seedburst Hot Cross Muffins? 7 Hot Cross Bun Recipes For Hot Cross Bun Day. "01/03 Link Up Your Favourite Posts This Week : Welcome To The Weekend Hop …"
They look great Clairejustine! It is just before 3 p.m. here in Jamaica and I could do with some! :) Enjoy the rest of your Thursday.